Please join me in welcoming author Christopher Meeks to Musings of a Bookish Kitty! Christopher Meeks is the author of two short story collections, The Middle-Aged Man and the Sea and Months and Seasons. He is also a playwright and has also published short fiction in several literary journals. The Brightest Moon of the Century is his first novel. Be sure and come back tomorrow for my review of The Brightest Moon of the Century. As a professional writer, I started as a playwright first, before becoming a novelist. Never did I think the two mediums would meet, but a recent posting here at Musings of a Bookish Kitty gave me an epiphany. My wife often laughs at my epiphanies, so let me explain this one. One of the joys of having a play mounted is that one senses what an audience feels at every performance. 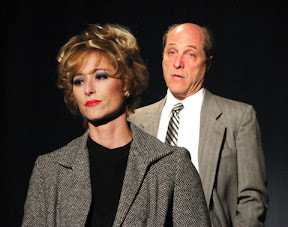 My play Who Lives?, recently mounted at the Pico Playhouse in Los Angeles, has a mixture of drama and humor. The play explores the serious issues that surrounded the selection of people dying of kidney disease in the sixties for the first long-term experiment in kidney dialysis. How the citizen-based committee reacted to the pressures sometimes brought humor. Each night I saw the show, audiences reacted differently. They did not act inappropriately, but certain sections in the play brought outright gawfaws on some nights, and other evenings, soft appreciative laughter. The last two scenes typically were so powerful that everyone barely breathed. You could hear a pin drop. My own interests in writing over the last decade, though, have brought me into writing fiction. Rather than have actors and a director help me push toward the drama, I’m now on the wire without a net. My only feedback has been reviews. Those can be quite interesting because a critic, focused on my book, may take notes, write impressions in the margins, and underline favorite passages. Later he or she will make sense of it all in a review. Sometimes I learn things about my work that I didn’t see, things that may have been at a subconscious level, by which some of the best writing is guided. Still, that’s not the same as being in the room with the reader. Once I discovered Google Alerts, I now witness even small mentions of, for instance, my recently published novel, The Brightest Moon of the Century. That’s wonderful. I’m there witnessing the act of reading, and it makes me smile. This is the equivalent of a wave at a stadium and it shows we’re not alone. Books—and the Internet at times in literary websites—can bring us together. I wrote more about reviews, the Internet, and old-fashioned newspapers at my blog, http://www.redroom.com/author/christopher-meeks. 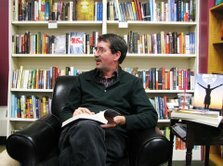 Photo 1 ~ Author Christopher Meeks at a book reading. Photo 2 ~ Himmel and Gottlieb from the play Who Lives? Photo 3 ~ Cover of The Brightest Moon of the Century. I am thoroughly tickled with this post. I'm not entirely sure that we bloggers appreciate what our comments mean to the authors. (I guess I didn't even know that most authors are even aware what we are saying, or even care!) How cool that he recognized not only you but Dawn as satisfying feedback, similar to that of a play's audience! It is thrilling to know that sometimes perhaps I'm not just talking to myself! what a great guest post! it's great how the internet and book blogs can help to promote authors and books. i'm happy to be a part of it! I think that the internet can be such an amazing tool when it's used like Meeks did to find out your reaction to his book...a total unbiased reaction...must have made him feel good and you too, to have an author acknowledge your feelings and to actively seek you out. I really liked this post. It feels very personal and captures that relationship between an author and their reader. Bravo Wendy and Bravo to Meeks!! Wendy, I have an award for you girl! Come on over! What a great post! I'm so impressed that you caused an author to have an epiphany. Also, I'm the Kathy he mentioned in the post!!! Great post! I love it when authors take the time to read our comments. It's nice to know they are paying attention. What a wonderful guest post! I know some critics have not been too happy with the book blogging community so it's so nice to hear how authors feel about it and embracing it. Terrific guest post! It is a nice reminder about the relationship between readers and authors - even if we are not always aware that we are being "listened" to!! What a great post! It is pretty neat to know that authors are out there looking for references to their books - and they just might end up on your blog! I will be back tomorrow to read more about the book and check out your review. It's wonderful to see an author embracing and interacting with the book blogging community. Thank you everyone for stopping by! I really enjoyed reading Christopher Meeks perspective on this topic as well.